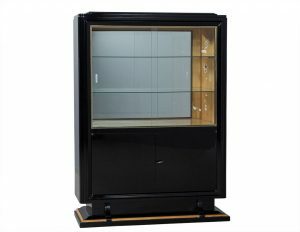 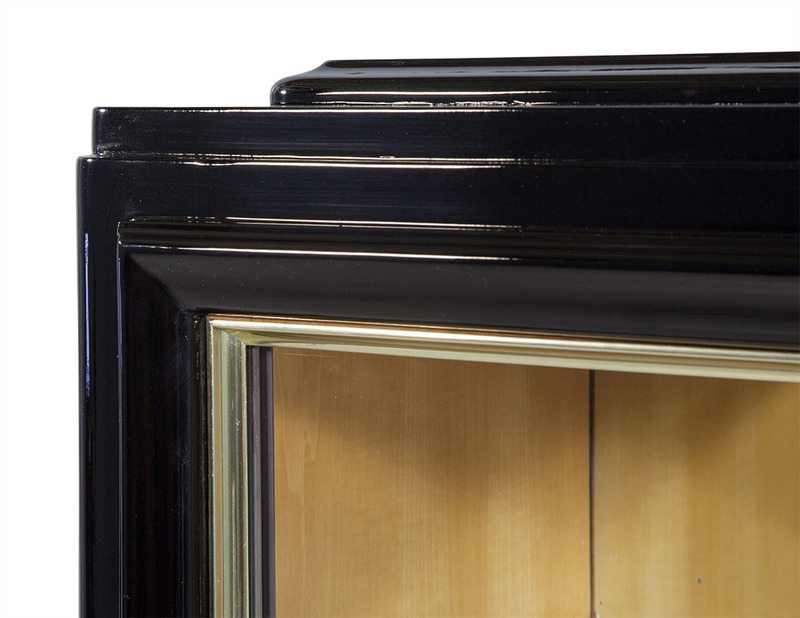 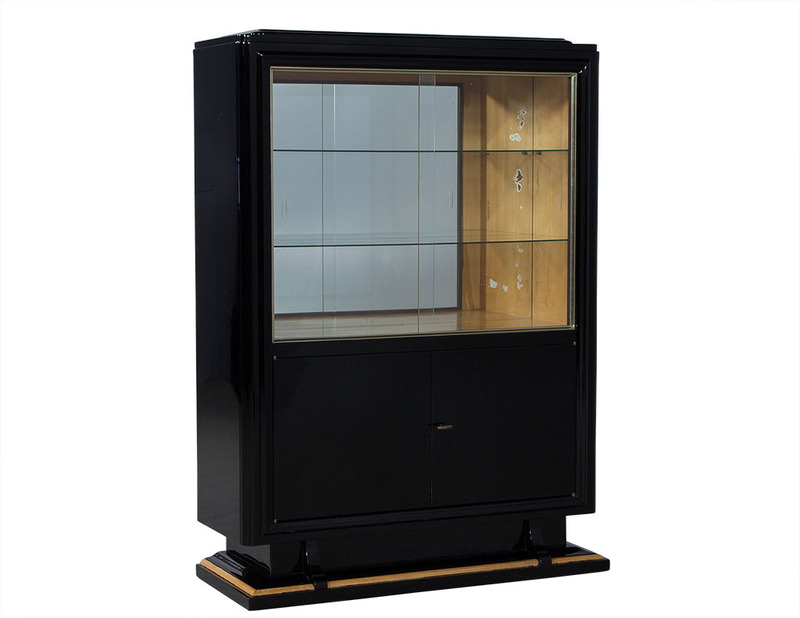 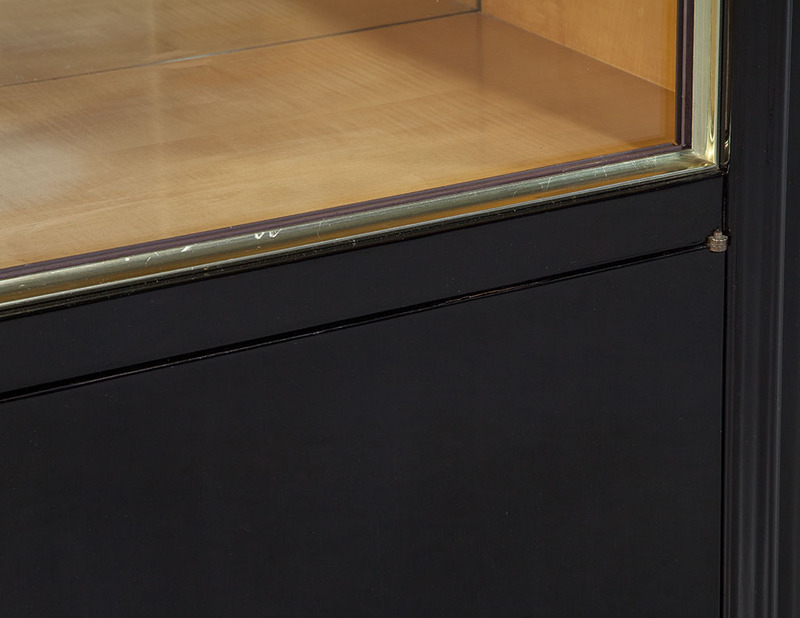 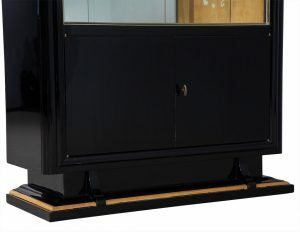 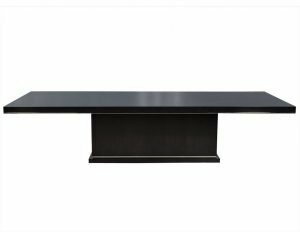 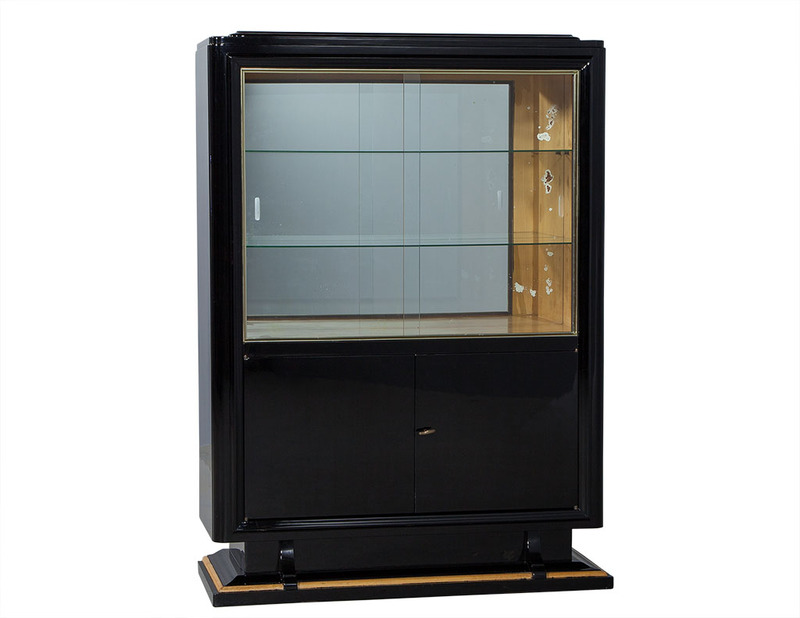 High gloss black cabinet featuring mirrored glass with 2 glass shelves and sliding glass doors. 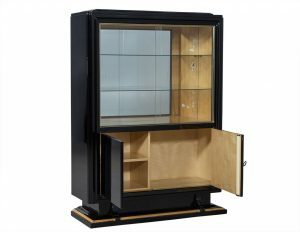 Bottom has 2 doors and shelves. 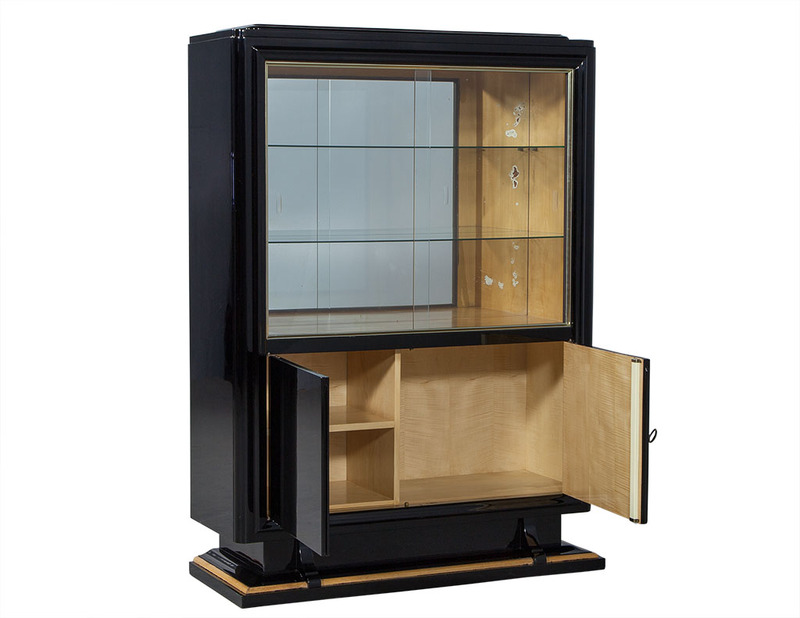 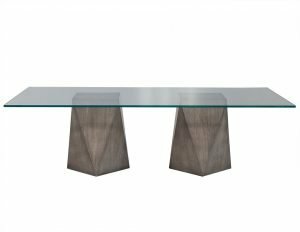 Divided into three lower shelved storage compartments, with the upper compartment for display, outfitted with three glass shelves and a mirrored back and all natural wood finish for interior. 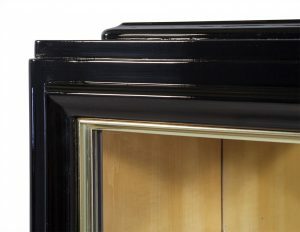 Good, completely original - has wear consistent with age and use. Large aged spots on interior back mirror.